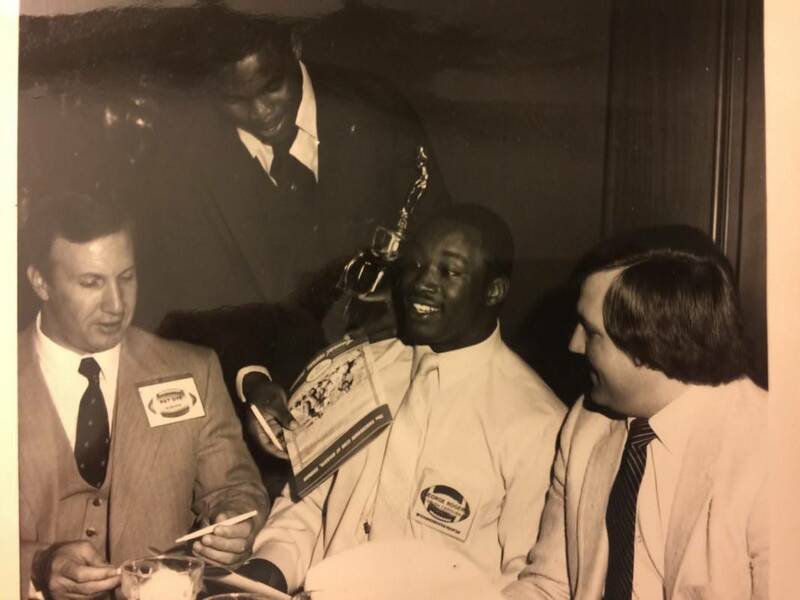 Rogers was the first player the TCA honored that would go on to win a Heisman (Cam Newton being the second). 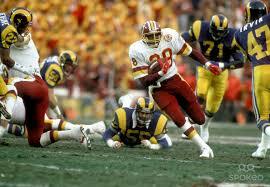 Before they named a road after him at Williams-Brice Stadium, before he retired from the NFL in 1987, before he won Super Bowl 22 with the Redskins, before he was NFL rookie of the year in 1981 with 1,674 yards behind the worst offensive line in NFL history, Before he won the 1980 Heisman over Herschel (it still hurts, but he had slightly better stats than #34), before he was a consensus All-American for the Gamecocks…he played for the single A Duluth Wildcats. The ‘76 Wildcats finished at 8-1-1. As a junior, he rushed for 2,286 yards leading his team to the state finals before falling to Lyons from Toombs County…if you don’t know Toombs County’s largest city is Vidalia. Vidalia is one of the 13 whole counties that grows them by-god good-ole ‘Vidalia onions’ from that sandy soil & is the state Vegetable of Georgia & has an economic impact to Georgia of 2.3 BILLION $…sorry, I got off on a rant, I love onions. The 6’2” 220 lbs. Rogers was way ahead of his time for his size and speed. The recruiting battle was heavy. USC (University of South Carolina for all you foreigners) won out in the end as they promised him that he would play as a freshman (which was rarely done at that time). So he packed up and left the Peach state and went to Columbia to become a Gamecock. 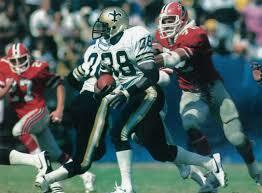 Everyone thought he would be a fullback…familiar refrain for all of us Herschel fans. Well UGA & GT and everyone else missed out – and Columbia gained a beloved hero & legend. His #38 jersey was the first number ever retired by the Gamecocks. 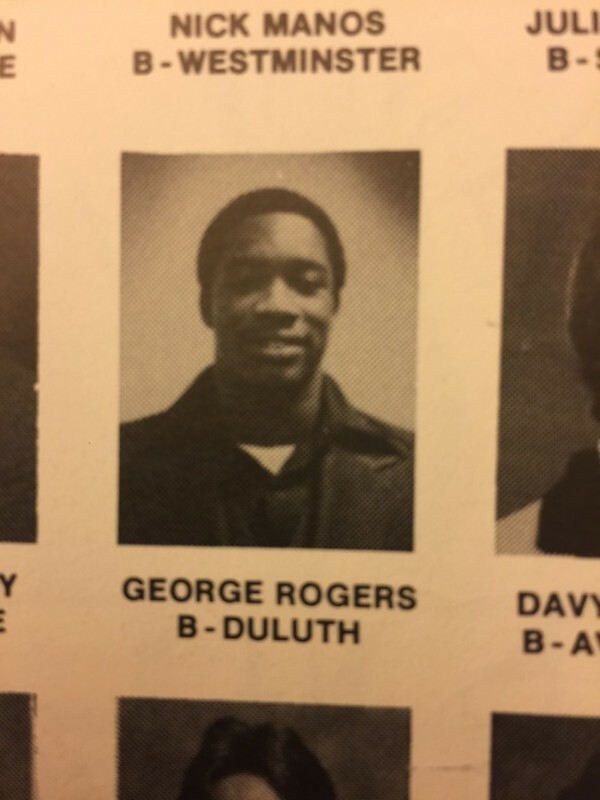 Rogers is a Georgia Sports Hall of Fame member, a member of the College Football Hall of Fame, University of South Carolina Hall of Fame, New Orleans Saints Hall of Fame….and Our Back of the Week from 1976.